This fresh room has large built-in cupboards for longer stays with an en-suite walk-in shower and separate bath. Balcony overlooks views of courtyard and garden. Situated on end of building away from noise. You may choose between a King bed or Twin beds when making your booking. 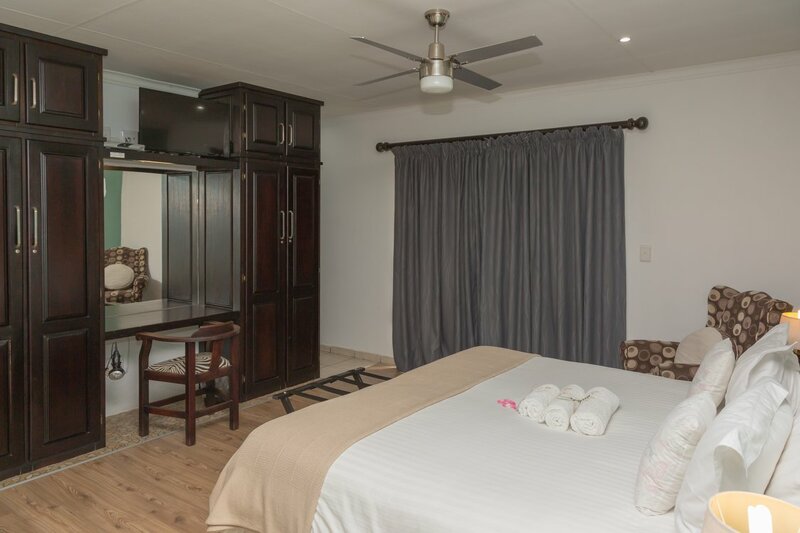 All rooms come with percale linen, tea/coffee making equipment, bar fridges, electric under-blankets, air-conditioning(Warm & Cold), free WI-FI, flat screen TV’s, work desks, bathroom amenities and lock-up safes. Hairdryers are also available in rooms.